The GOP is ramping up for another gun control hearing and this time, they are promising to "compromise" and pass Dianne Feinstein's 50-state gun confiscation bill, the Extreme Risk Protection Order Act. Under this "compromise" police would be able to confiscate your firearms based purely on hearsay and it would be up to you to prove to a judge that you deserve them back. The gun control movement held last week's vote when the Mueller report was dominating the news. No surprise, they are scheduling their next hearing for when the Mueller report is publicly released. They're hoping to catch you off guard and sneak this through when they're not looking. Prove them wrong! Please, send your instant and urgent FaxBlast to Congress right now and force them to KILL these Red Flag bills before it's too late! 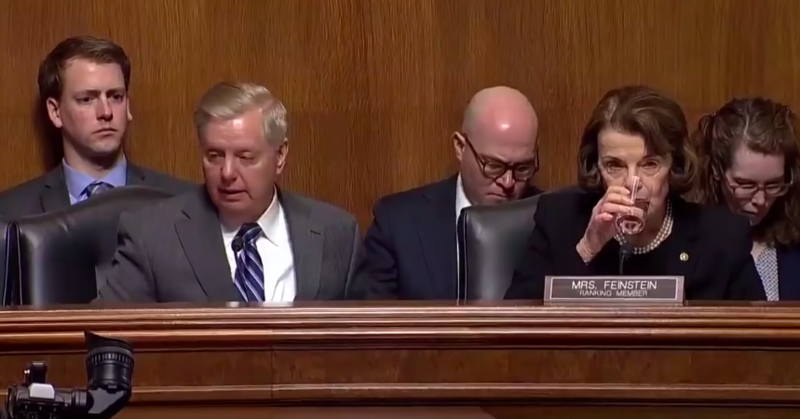 Last week, your colleagues in the Senate Judiciary Committee used the cover of the Mueller report to hold a despicable gun control hearing. The hearing was to discuss the "benefits" of Red Flag laws, also known as gun violence restraining orders and extreme risk protection orders. Our Founders included the 2nd Amendment in Bill of Rights for a reason: to ensure that Americans would never have to prove why they needed or deserved the right to self-defense. The right to keep and bear arms is a right. It is not subject to needs or worthiness tests. Except that is exactly what the Extreme Risk Protection Order Act would do. Federal law only allows disarmament if certain conditions are met. In order for a gun owner to lose their firearms, they need to be (1) convicted of a felony or violent misdemeanor, (2) adjudicated mentally defective, (3) dishonorably discharged from the military, (4) an illegal alien, (5) a fugitive from justice, (6) a domestic abuser, or (7) a former-US citizen, meaning they gave up their citizenship. And the burden of proof rests entirely on the prosecutors. Extreme risk protection orders turn this upside down. Police are suddenly allowed to confiscate firearms based on hearsay. All they need is a family member, friend, neighbor, or even complete stranger to claim that a gun owner poses a danger to himself or others. That is all they need for a confiscation order. Once the guns are taken, it is up to the gun owner to prove to a judge that he or she deserves their rights back. If they can't convince a judge they are innocent -- again, without even being accused of a crime -- then the confiscation order can be extended up to a year. If you pass this bill, you are finished. There is no "compromising" on the 2nd Amendment. Americans have a right to keep and bear arms for self-defense. Suggesting otherwise makes you an enemy of the American people. If you allow any of these extreme risk protection order bills to pass, you are an enemy of the people and I will not rest until you are removed from office!